I usually add the words My Hair Loves in the title of hair care posts but the title was far too long so they were omitted but hair does indeed love these products! I don't often write hair care posts as I am rarely wowed by a product. I have to see a real difference for me to put finger to laptop and recommend a hair care product, in this case I am very excited to share my thoughts on this Shampoo and Conditioner. This shampoo is specifically designed for very dry and rebellious hair. Enriched with botanical oils Cameling and Apricot Seed and non-sulphate cleansing surfactants, the formula leaves hair feeling intensely nourished whilst helping to protect from dryness. The shampoo is opaque colour and texture wise is thick and creamy much like a conditioner. Despite being SLS free it foams up nicely to give that all important feeling of really cleaning your hair. As an aside I personally don't feel the need for loads of foam but I know a lot of people need the reassurance. It smells divine with a very subtle coconut scent which just adds to the experience. The conditioner has the same divine scent as the shampoo, it is opaque and slightly thicker than the shampoo (as you would expect). After rinsing out I can see and feel the difference in my hair, it really feels conditioned and smooth. It is incredibly manageable and the comb just glides through it. It doesn't weigh the hair down. My hair is thick and porous. I have been highlighting it in some way every year for nearly 20 years now. I have frizzy, wavy hair that has a mind of its own. If I leave it to dry without touching it, it goes wavy and frizzy, basically resembles someone who has been dragged through a bush. 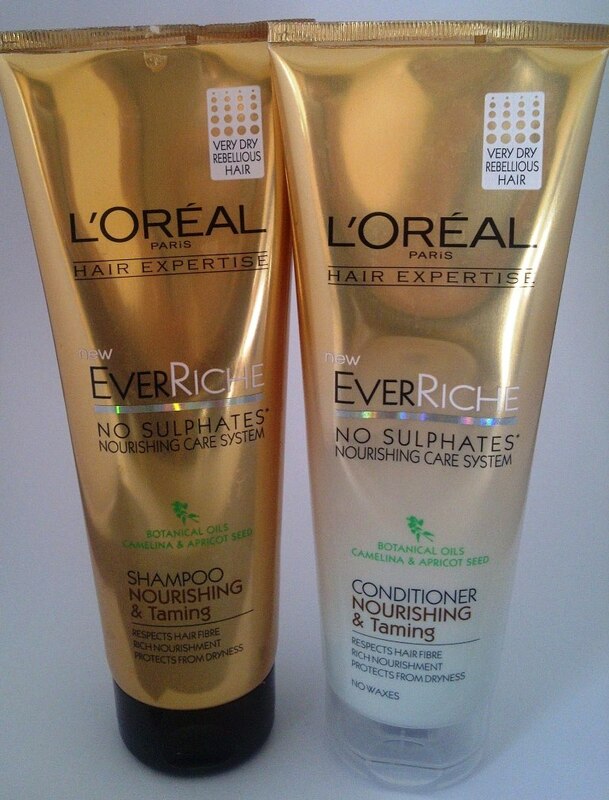 Using this shampoo and conditioner combination I can achieve salon textured hair at home, something I have only dreamed of in the past. My hair after styling is super soft, sleek and silky to the touch and it stays this way until the next wash. My hair looks healthy and shines. In fact the first time I used the products a woman at the school complimented me on my hair and said that it looked like I really looked after it! My usual routine is to air dry for a bit and then blow dry it and then straighten but using these products I could just blow dry it straight and leave it like that, it is that smooth. For the sake of extra sleekness I run the straighteners over it but it just needs going over once. 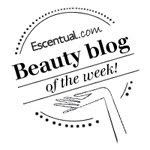 I love these products and as they are such a great price I would certainly purchase over and over again. L'Oreal Hair Expertise EverRiche Nourishing & Taming Shampoo and Conditioner 250ml cost £5.99 each. Hmmm...interesting. They seem like great products to try out. Since I love trying out hair care products, these items will be on my purchase list.